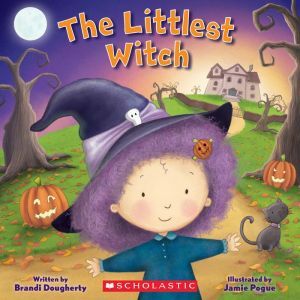 From the New York Times bestselling author who brought us The Littlest Elf comes a sweet new Halloween story filled with gentle spooky fun and one adorable little witch friend! In this companion to The Littlest Mummy, Mae the Mummy's friend Wilma is the littlest witch in the Spooky Woods. She may be little, but Wilma knows this is the year she'll be able to fly with her family in the big broom-flying demonstration! But even though she knows the flying routine by heart, Wilma just isn't able to fly yet. Will Wilma be able to find a way to participate in the broom-flying fun, or is the littlest witch still too little?